Reviews for Cosmopolitan Construction Inc.
Aiad and his team are a rare gem. Their work is probably one of the best i have seen and Aiad is exceptionally pleasant to work with. Our second story addition required Stucco on the whole house over the old brick. 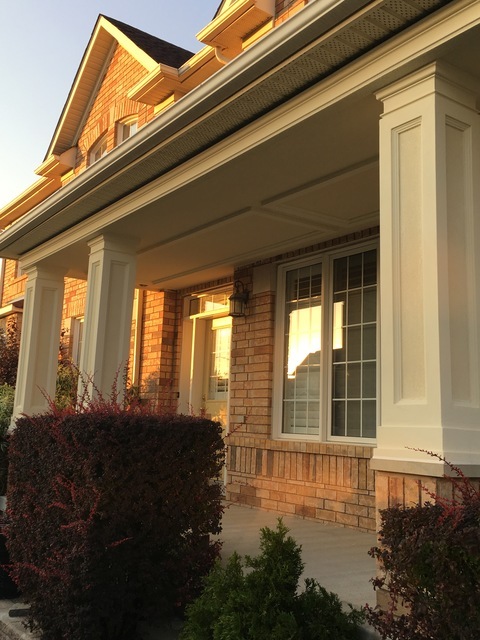 Aiad accomodated all our needs, provided great mouldings for our porch and for the transition and the quality of the worksmanship was exceptional. Aiad even offered to come after and fix/repaint areas where other trades made the wall dirty (due to their ladders). I rarely give a 10 out of 10 review but in this case it was fully justified ! Thank you so much for your kind words, Aninda! 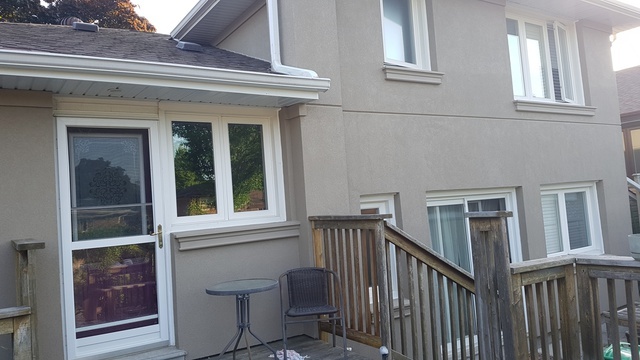 We were more than happy to help create your dream home's exterior with our stucco finish. It was great working with you as well! So glad we met Aiad! His crew is respectful, delightful and Aiad is a great leader. He is respectful to them and to the clients. He is a perfectionist and his time management is fantastic! He was more than happy to show us samples and wanted to ensure we were happy with the work, which we were. He turned our home to a beautiful finished product and does not try to oversell trims and framing. Honest guy, doing honest work, at an honest price! Thank you Dina! We really appreciate your lovely review of our team and the work we completed at your house. 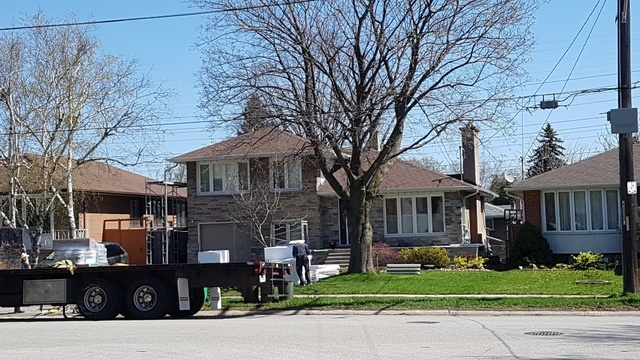 It was a pleasure working with you, and we hope you will reach out to us again if you ever need any more of our stucco services! We are building our dream home. We received quotes from 3 stucco companies. The most responsible price we get was from Cosmopolitan Construction Inc.
Aiad show us samples from his work we convinced more but on top of this Aiad and his crew were very pleasant to communicate with, very punctual and easy to go. Cosmopolitan Construction Inc. gave us the best of the best picture we have in our minds. Naba, thank you very much for leaving such a positive review of our company! We are so happy to have helped create your dream home! The wood on the front of our townhouse had begun to show signs of rot so we contacted Aiad for a quote. He provided us with a timely quote in writing and we decided to proceed. Aiad also provided a time frame of when the work would be completed. He and his crew started work on time and completed it within the time he specified. They worked hard, arrived early each day, and kept a clean work site. We are very happy with their work and would absolutely recommend them. Thank you for reviewing our company's stucco work on your home--it is always great to hear that our clients are happy with our services! 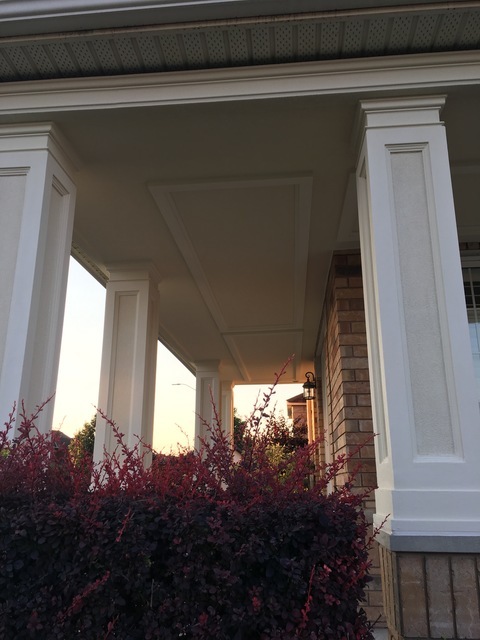 Stucco Exterior on Columns and porch over hang. Very happy with both the work and professionalism of Aiad and his crew. Aiad is great to work with and allowed us to make slight alterations to our original design while the project was already underway. Aiad was the only one of the three companies we received quotes from that actually gave us more than 5 minutes of his time. 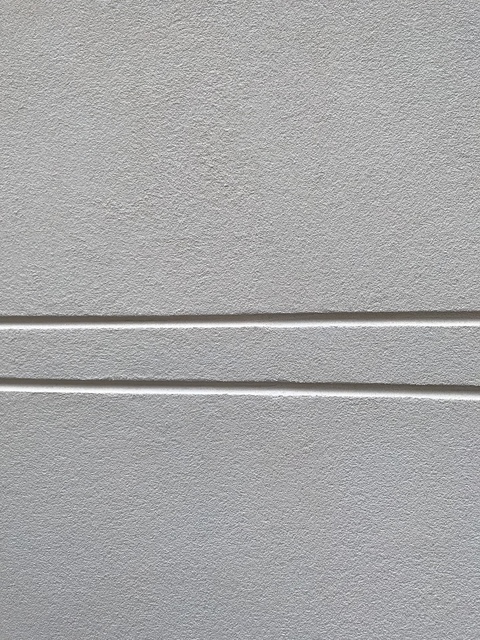 I would strongly recommend you calling Aiad for any of your stucco needs. We are delighted to hear that you are more than satisfied with our customer service and stucco work on your home! It was great working with you too! Aiad is the ultimate professional. I have NEVER had a tradesman do everything possible to make the experience seamless, and to make the customer happy. His team is professional, clean, polite and VERY hard working. I can't believe what they accomplished in 4 days. If there were an 11 rating, Aiad and his team would get it! His price was excellent, and you get everything you paid for, plus. My recommendation; you are nuts not to have him quote on your job, or do it for that matter. All references provided by Aiad said the same thing. Kate, thank you SO much for such a beaming review! We are glad to hear that you are happy with our work, service, and the new stucco finish look of your home! Very impressed with Aiad and his crew. Needed to replace rotting wood surrounding my front windows and two wooden porch pillars. Work was started and finished on time, crew was friendly and Aiad was very patient with our questions, concerns and "suggestions". Front windows look great and the new pillars are fantastic. Highly recommend. We really appreciate you giving us such a positive review of our company and EIFS stucco work! Thank you very much! 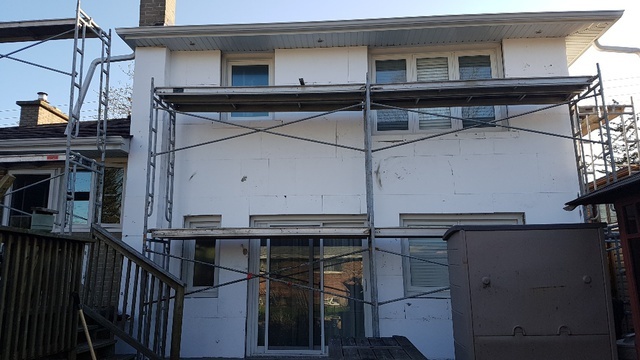 With a HELP loan (Home Energy Efficiency Loan Program) from the City of Toronto, we engaged Aiad Habashi company to install 2" exterior insulation and stucco on top of that, as a part of a larger project to make our home more energy efficient. From start to finish, Aiad did an excellent job communicating with us, addressing coordination issues with the window installer, and adjusting his schedule to meet our needs. HIs team was very professional and the final result is beautiful! I can't recommend Cosmopolitan and Aiad highly enough. Phil, thank you for your kind words about me and my team! 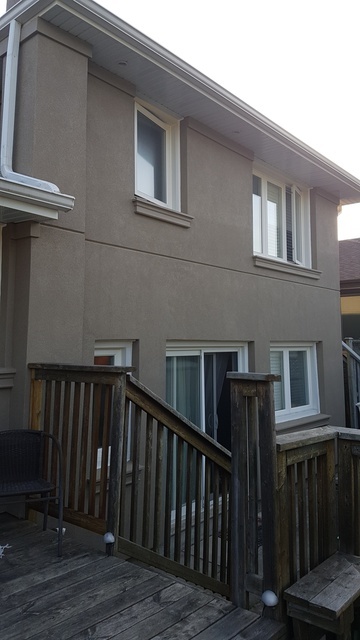 The newly installed EIFS stucco will definitely increase your home's energy efficiency for years to come! Our house was built in the 1960’s and the walls were not insulated. Only recently, because we are older, we noticed that the walls are cold in the winter, conducting cold temperatures from the outside. 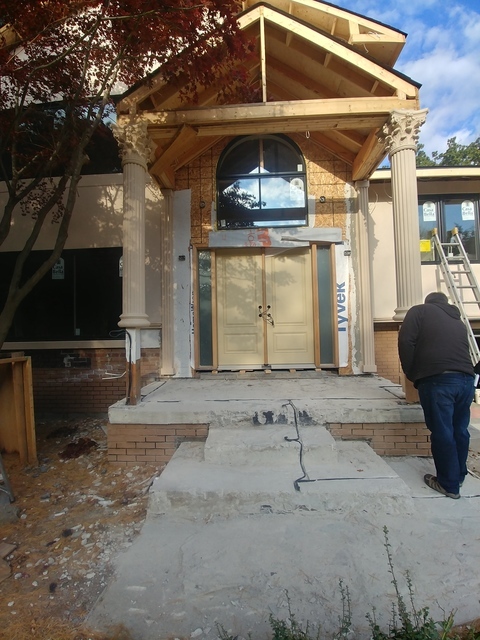 Our options were to tear down walls and insulate from within or stucco on the outside. 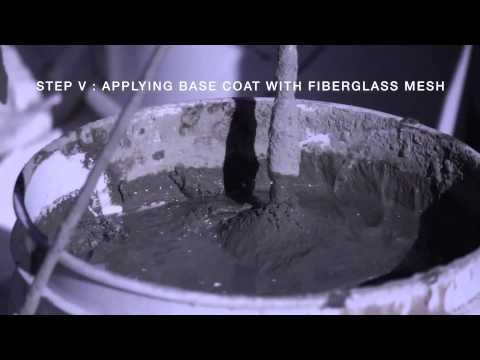 The interior insulation would be cost effective versus exterior stucco. After reviewing the advantages and disadvantages, stucco was the better option primarily we can still remain / live in the house. We went to HomeStars, www.homestars.com, to connect with and filter out contractors that has the best fit. We met with and received pricing from owners / partners of several contractors. Aiad of Cosmopolitan Construction was very sincere, knowledgeable and humble. He was thorough and meticulous. Explained the steps of the process from start to finish and translated this verbatim onto a document, his contract. Supplied a formal document for review and edit. This process from research to final tender was two years. We wanted to ensure we had the right contractor for this job who also met our expectations. As an engineering technologist and a regular DIY, I am very particular with renovations. Seldom do I tender work unless it requires a licensed contractor. My expectations and standards are very high and Aiad definitely met them. The results are there as you will see in the photos. Payment terms, cleaning and disposing of garbage and start and stop times were clearly documented and understood by all parties. Late 2017, we tentatively agree to start in March / April of 2018. The winter was long and cold. Aiad was flexible in moving his work around to accommodate and postponed until the weather is warmer, May. He and his team / family of four were punctual and started precisely at 8:00 am every day. His original quote allotted for 10 working days, inclusive of Saturday. 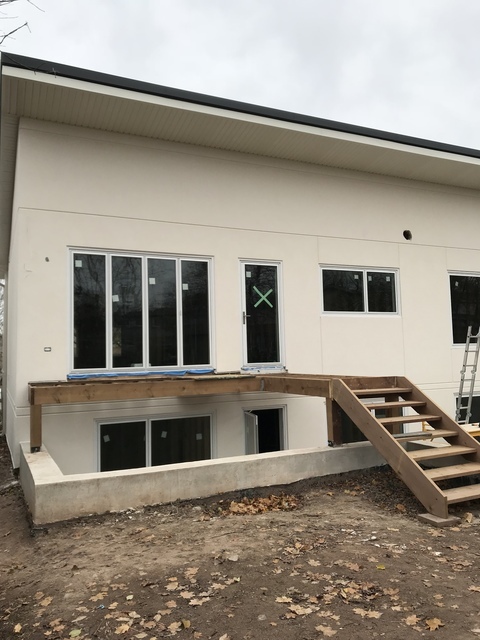 They had the floors covered and the scaffolding up on the first day; removed downspouts and existing siding, application of moisture barrier and commenced parching. The the 2.5” Quantum Select Styrofoam were up in no time. His team of four worked like a crew pit in an Indy 500 race. They were thorough, precise and efficient. 4.5 oz fibreglass mesh with 2 coats of base coat were finished in day 3. Trims and Sills were installed along with the keystone over the garage and flat moulding under the soffit along the perimeter of the house. By day 5, the entire house and I mean the entire house, all four walls, were finished. 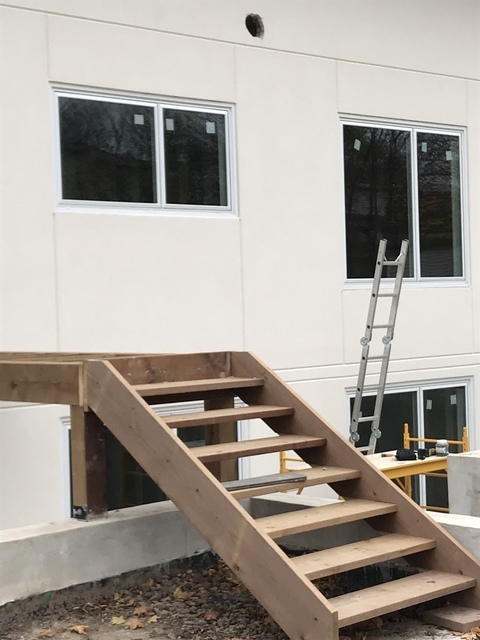 The four man team was separated with 2 on the upper scaffolding and 2 below working in harmony as they apply the finish coat from top to bottom along the four walls. This was a sight to see, all four men moving along the wall as they trowel the finish coat without stopping. When they were finished, clean up was exemplary and immaculate. All the scaffolding was dismantle and the floor coverings were removed and disposed. Aiad and his team had great weather during this week and completed the entire process in five working days including setup and tear down. Impressive! 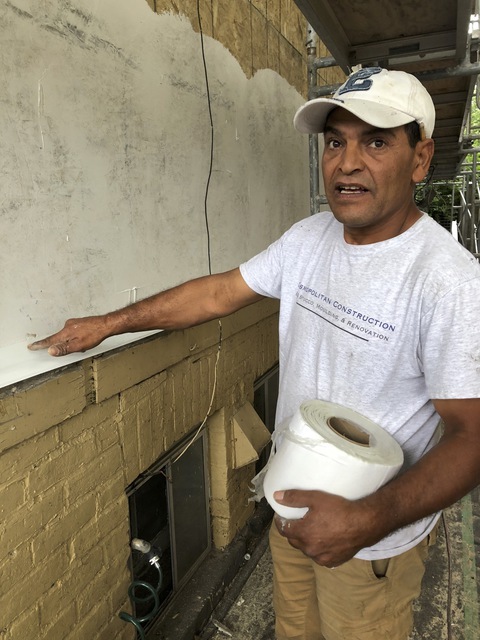 His caulking contractor came on Monday, as agreed, to complete the final touches. Neighbors were shocked to see the transformation and one commented “like moving into a new house”. The stone work on the lower split of the house was a contractor supplied by Aiad. 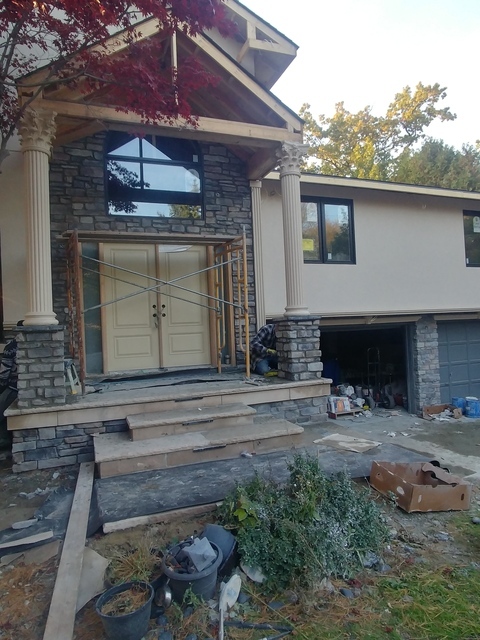 The stone was done in late 2017 before the stucco. Aiad, your level of performance clearly shows the experience and wisdom you have in your line of work. If there is such a rating of 11 out of 10, you would be the first. I highly recommend Aiad and his team. They are the best in their field. Very Impressive! We can hardly put into words how elated we were to read such a glowing review of our work! 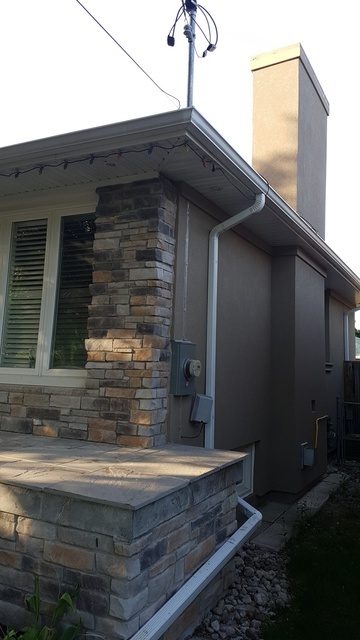 Thank you for going into depth on the EIFS stucco process we completed on your home's exterior walls, and speaking so highly of us! If we were to review you as a client, we surely would give you an 11 out of 10 as well! The stucco work completed by Cosmopolitan Construction on my three dormer windows is really work of art. The workmanship is great, clean and perfect. I am happy that I was referred by a neighbor to hire them. The owner Aiad Habashi is professional and he is proud on what he does. He is very friendly and accommodating to our schedules. I recommend them to anyone who has stucco projects. 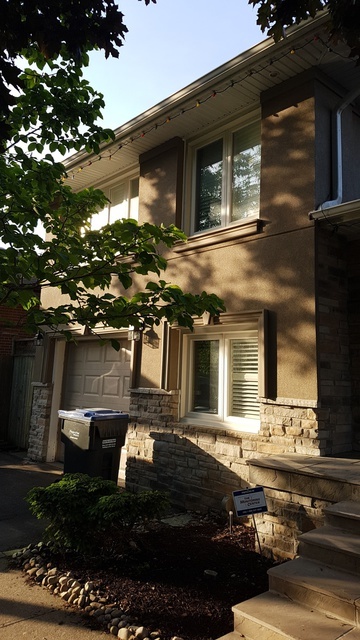 It is fantastic to hear that your experience working with us on your home's EIFS stucco project was a great one! We are very appreciative for you writing this review about our company, thank you! More about Cosmopolitan Construction Inc. WINNERS OF THE HOMESTARS "BEST OF 2015," "BEST OF 2016," "BEST OF 2017," and most recently "BEST OF 2018" AWARDS! We specialize in EIFS Stucco & Cement Stucco, Interior & Exterior Renovations, Moulding, Repairing cracks, etc. Our focus is on providing you with stucco siding for a new home or a new addition, as well as replacing your house's existing siding. Whether your home's current siding is Plywood, Wood, Stucco, Brick, Metal, Wood Shingle or Vinyl -- we have you covered! And if you do not know what your siding's currently made of, we will visit your home and assess it ourselves. It does not matter whether your home is one story, two stories or more! 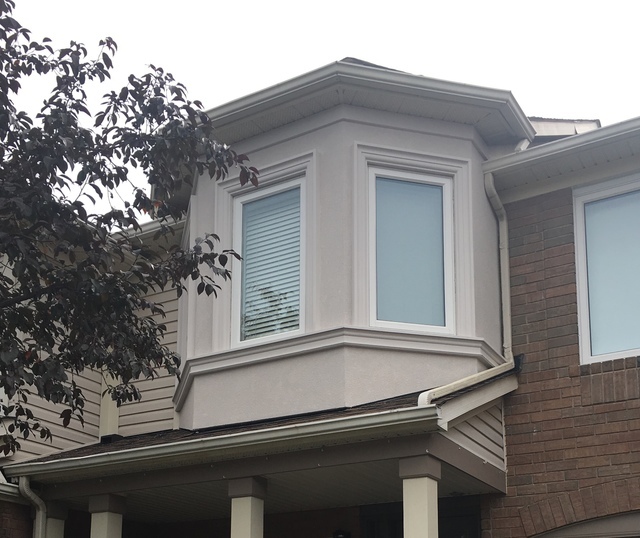 We handle installing or completely replacing exterior trim, as well as repairing or partially replacing exterior trim. If there is evidence of water damage or rot on your existing trim, we will work on solving the issue! Even if your exterior trim is made of Wood, Vinyl, Aluminum Wrap or Fiber Cement, we will take care of it. Our time is flexible and we will begin work on your project as soon as possible. We look forward to your newly stuccoed home or business just as much as you! This same process is used for installing mouldings onto the outside of a house - which is usually applied around windows and doors. There is no maintenance requirement on the product once we are finished. It does not need to be resealed or painted. It remains intact and unchanged from its original look. Stucco Repair, Traditional Stucco, Decorative Mouldings, EIFS Stucco, Stucco/Siding Replacement, Siding for a New Addition, Siding for a New Home, Installing or Completely Replacing Exterior Trim, Repairing or Partially Replacing Exterior Trim, Fixing Water Damaged or Rotting Existing Trim Siding for homes with one story, two stories, three stories or more. Replacing Siding for Homes with Plywood, Wood, Stucco, Brick, Metal, Wood Shingle, and Vinyl Replacing or Fixing Trims made of Wood, Vinyl Aluminum Wrap, Fibre Cement or Other EIFS refers to the Exterior Insulation Finishing System, and involves the following process: - Application of a moisture barrier onto plywood - Installation of Styrofoam (typically 1.5") - Application of a base coat with fibreglass mesh onto the Styrofoam - Application of a finish coat (colour and texture of your choice) This same process is used for installing mouldings onto the outside of a house - which is usually applied around windows and doors.